You’ve decided on your wedding invitations, finalized your guest list, and now it’s time to address your envelopes and send them out. 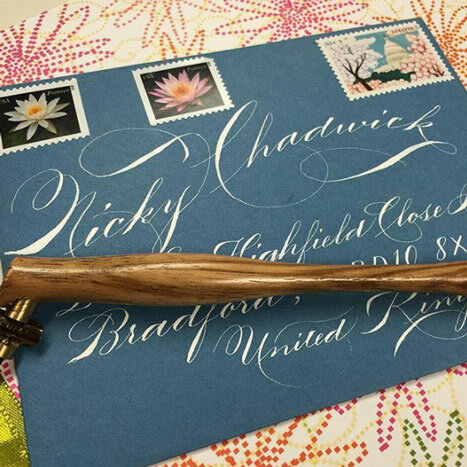 The envelope is the first point of contact between your guests and your wedding, so make them memorable with unique lettering techniques. There are numerous ways to achieve envelope addressing nirvana and have your envelopes emulate the grandiose of your big day. We know the wedding process can be somewhat overwhelming. How do you start? There’s the decorations, the invitations, the food, the showers, the pre-events, the post-events! What should be the most exciting time ever can end up being a bit stressful. Well, we’re here to help. 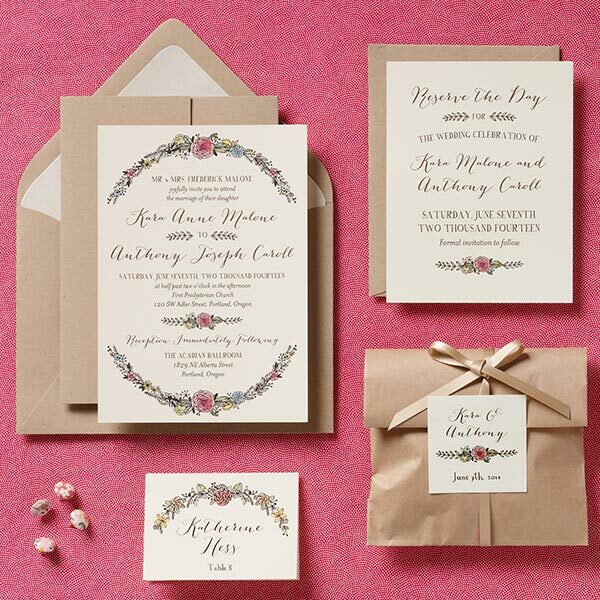 We chatted with one of our wedding invitation experts, Damani, to give you the low down on what to expect when you make a wedding appointment with Paper Source. A bachelorette party is a monumental event worthy of some great invitations. 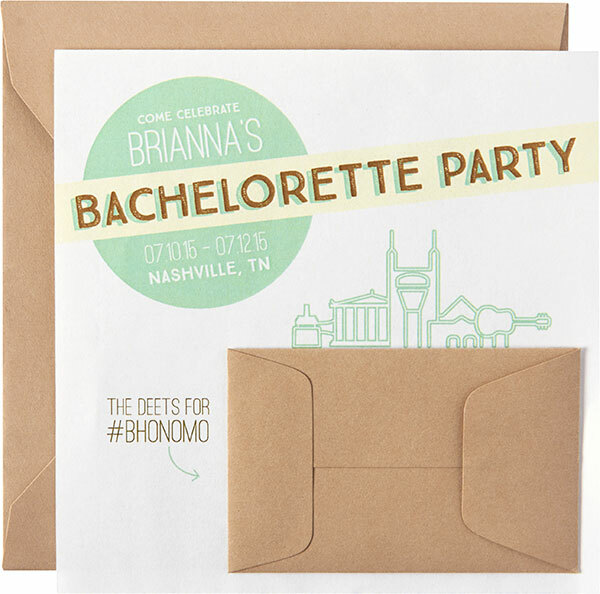 Meg K., a designer at Paper Source, planned her friend’s bachelorette party in Nashville. Using Paper Source products (and a whole lot of creativity), Meg fashioned the perfect invitation for an action-packed weekend. Meg used our Envelope Liner Kit and coordinating Mint & Gold Fine Paper for a pop of color. This was a great way to finish the design with a professional look without breaking the bank. It’s time to decorate for Halloween! If you’re looking for a fun way to create your spooky decor, why not invite your friends over for a festive pumpkin decorating party? These easy decorations and creative refreshments will delight your guests as they create their perfect pumpkins. We’ve also shared creative ways to glam up your gourd without the mess. Your pumpkin will be the talk of the block with these fun decorating techniques! No need for the goopy mess- these carving-free ideas add fun flair to any pumpkin. Add a splash of sparkle or dunk your pumpkin in gold glitz- either way your pumpkins are sure to shine with these decorating tips! With all this warm weather and sunshine, you don’t need a reason to celebrate this summer! Whether it’s a graduation party, pool party or just a fun neighborhood get together, Paper Source can help all of your summertime soirées! First impressions are everything. 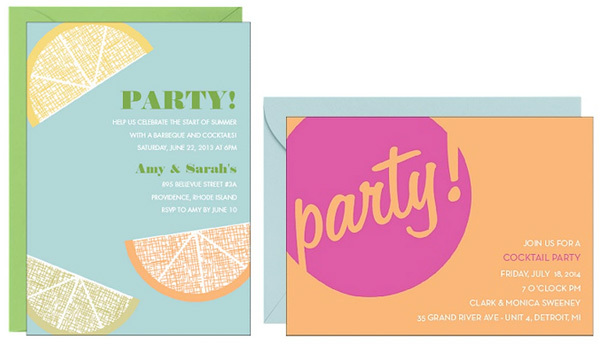 With bright colors that pop, your guests won’t be forgetting this party invite! Send the Spotlight Party Invitation or the Citrus Party Invitation for a kickoff before the party even starts. If you’ve walked by our store windows lately (or checked out our website), you’ve probably noticed that we’re lusting over donuts. 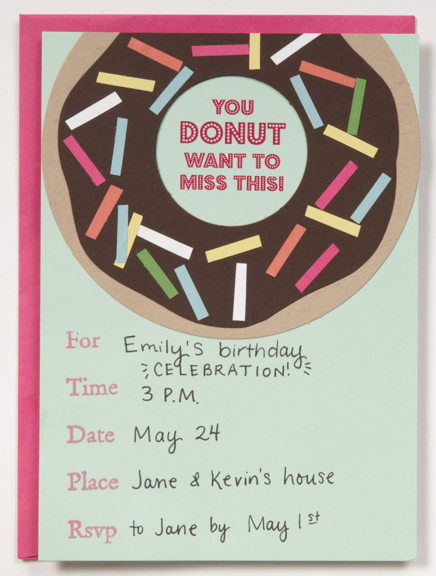 Here’s a cute way to take the sweet trend and DIY your own invites. 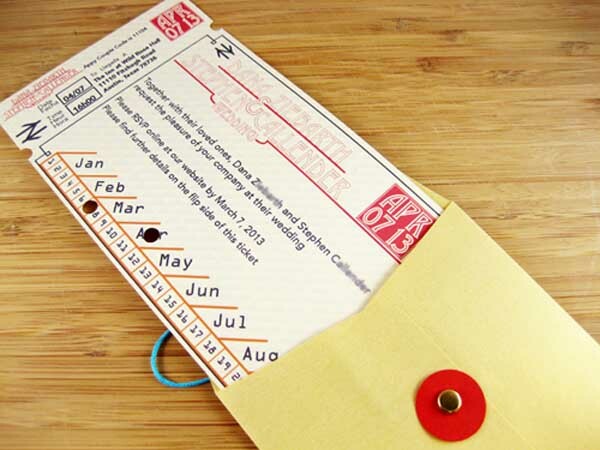 When Paper Source fan Stephen C. and his wife announced their big day, they took on the project of creating one-of-a-kind, DIY wedding invitations inspired by Stephen’s old train tickets. It’s your big day, and the 2013 Paper Source Wedding Invitation Collection will help you create a meaningful expression. 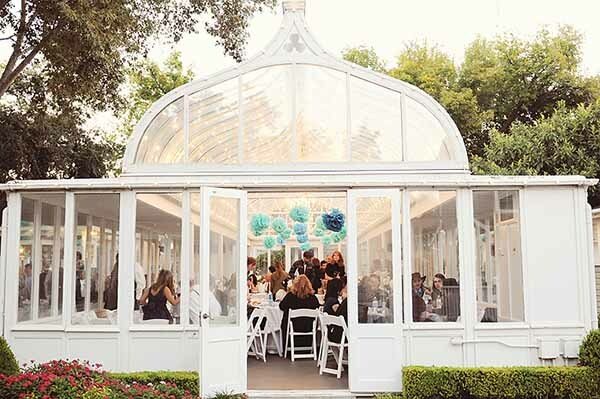 Whether you’re looking for glamour, blushing for romance or longing for something bold, our invitation suites are sure to inspire with fresh color palettes, playful fonts, and tons of great DIY wedding ideas.